When learning to craft beautifully lit portraits, there’s no better place to start than with classical lighting patterns. These lighting setups have laid the foundation for portraiture since long before photography existed, when master painters relied on them for ideal illumination of the face. 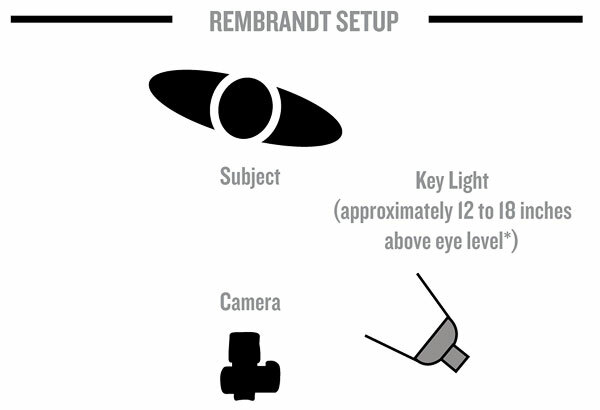 There are four traditional lighting patterns: Butterfly, Loop, Rembrandt and Split. Here’s how to use these classical lighting patterns to craft beautiful portraits. 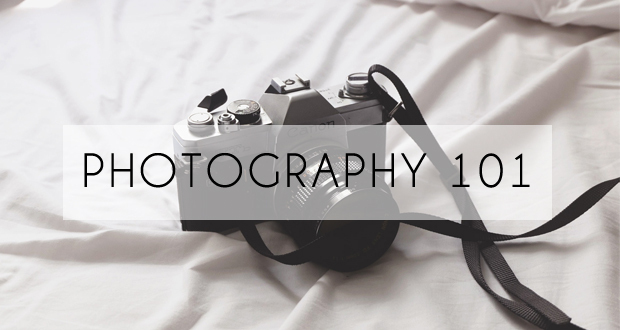 Before we delve into the nitty-gritty of the classic patterns, it’s important to know that these patterns are always created by moving the light in relation to the face, not the camera. Ultimately, a key light can be positioned in one of two general ways—to create broad lighting or narrow lighting, also known as short lighting. 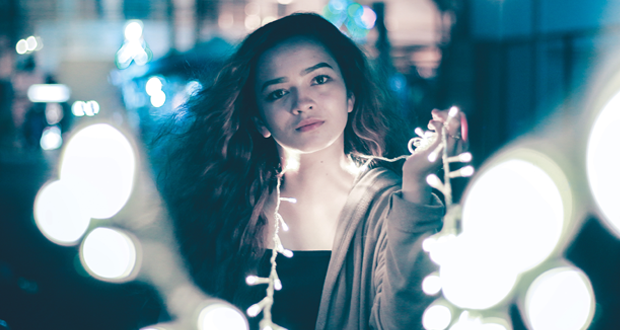 Broad lighting is when the light is positioned opposite the direction the subject’s nose is pointing so the cheek that’s directed toward the camera is in light, not in shadow. 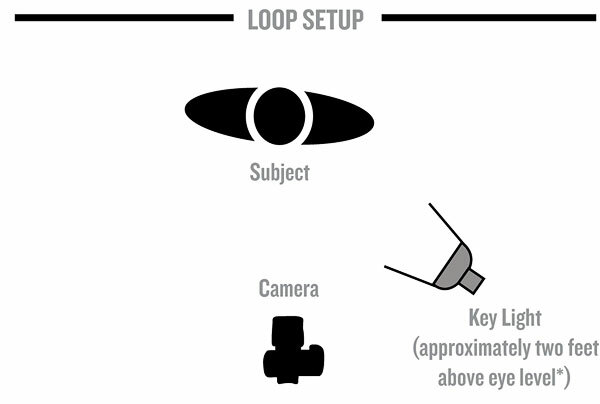 For instance, in broad lighting, if the subject is looking to camera-left, the key light is coming from camera-right. This illuminates a broader swath of face than the other style, short lighting. Short lighting is when the side of the face away from the camera is illuminated, while the cheek that faces the camera is in shadow. Broad and short lighting can be employed for many different reasons, but two of the most notable reasons are to provide a slimming effect or to increase drama and mystery. With short lighting, less of the face is illuminated and, therefore, the face will appear narrower. 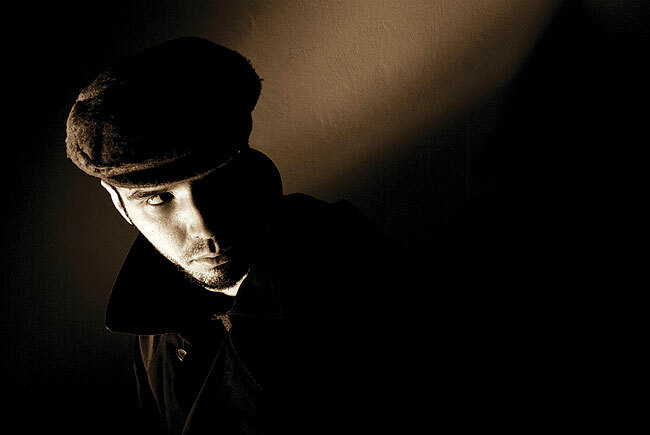 Because the shadow side is more prominent to the camera with short lighting, it adds mystery and drama, as well. 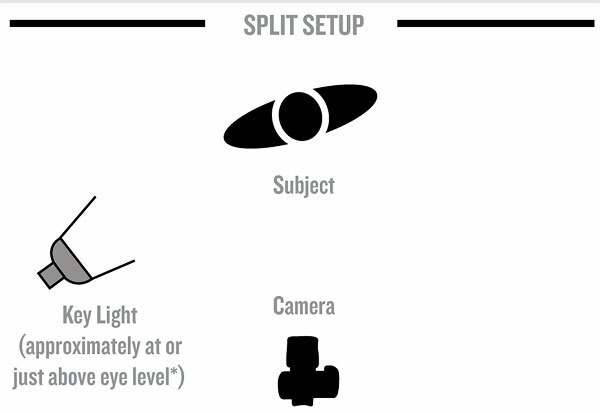 As you’re positioning the key light to form the lighting patterns outlined below, take note of the ways a broad or short lighting setup changes the impact of the portrait. Named for the shape of the shadow that falls directly beneath the nose, butterfly lighting is a great way to make a pretty face look glamorous. 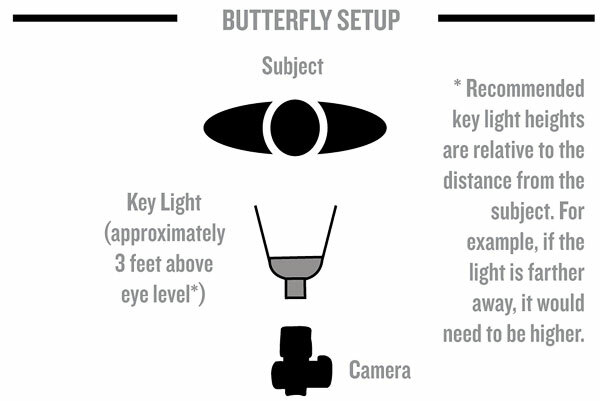 In fact, butterfly lighting is also known as Paramount lighting, for the movie studio whose photographers made the style famous back in the golden age of Hollywood. Butterfly lighting accentuates cheek bones and jaw lines, and works wonderfully with a subject in full face (turned directly to the camera). It may not be the ideal lighting for a weathered face (though it does minimize skin texture), but for making a beautiful face look glamorous, there’s practically nothing better. To create a butterfly pattern, position the light source directly in front of and above the nose. A fairly high position is necessary to create the shadow below the nose and chin, but too high will make the shadows too long and remove the catchlight from the eyes. To check the position, note that the butterfly shadow should stop about halfway between the nose and the lip; if it touches the upper lip, the light is too high. Add a white reflector below the chin, and you’ve modified the butterfly pattern to make it clamshell lighting—a popular setup for beauty and glamour portraits. This lighting pattern is named for the loop-shaped shadow that falls down and to the side of the nose. This shadow, in the proper form, should be well defined and not spread so far as to disappear into the shadows beyond the cheek and below the mouth. In the right position, this lighting pattern is the foundation for many great portraits, as it’s flattering for a variety of faces. It defines the shape of the face, whether round or narrow, and is neither overly dramatic nor flat and plain. To turn a butterfly pattern into a loop, move the light source slightly lower and toward the side of the face—say, at approximately a 45º angle. One bit of advice regarding the head position: Choose short lighting with the loop pattern to ensure the shadow from the nose falls visibly on the side of the face that’s directed at the camera. This makes it easier to identify and accurately position the loop shadow, ensuring the light is in a position that’s generally flattering to the face. The Rembrandt lighting pattern is named for the guy who made it famous, 17th-century Dutch master painter Rembrandt van Rijn. Rembrandt employed a chiaroscuro technique that emphasized light and shadow, adding mystery and a bit of drama to an otherwise straightforward loop-style lighting pattern. To re-create his approach, simply lower the light source even farther from the loop position, and move it slightly farther around to the side of the head. This will make the loop shadow close across the face and reveal a small triangle of light on the subject’s shadow-side cheek. This highlight, ideally, should be about as wide as the eye and as long as the nose, and subtle changes in position of the light source, as well as each subject’s unique anatomy, can dramatically change the pattern. Know that the Rembrandt pattern also has a slimming effect—which is frequently useful—and it enhances shape and texture, which often is not. If you want to up the drama in a portrait, choose the split lighting pattern. Split lighting reveals one half of the face in light while leaving the other in shadow. It’s achieved by moving the light still lower and around to the side of the head—roughly 90º from the direction the nose is pointing and about on par with eye level. Feathering the light slightly in front of the subject will help to avoid a hot spot on the side of the face, and a slightly forward source may also make for a more attractive split, as it can allow a hint of light to spill onto the lit-side eye, which is much more appealing than having both eyes in shadow (which will happen if the light is too far back). Split lighting is a great way to slim a large subject, particularly against a dark background, where the shadow side can all but disappear into the darkness. It also brings out every texture on the face and adds mystery and drama; whether these are problems or benefits depends entirely on the subject.